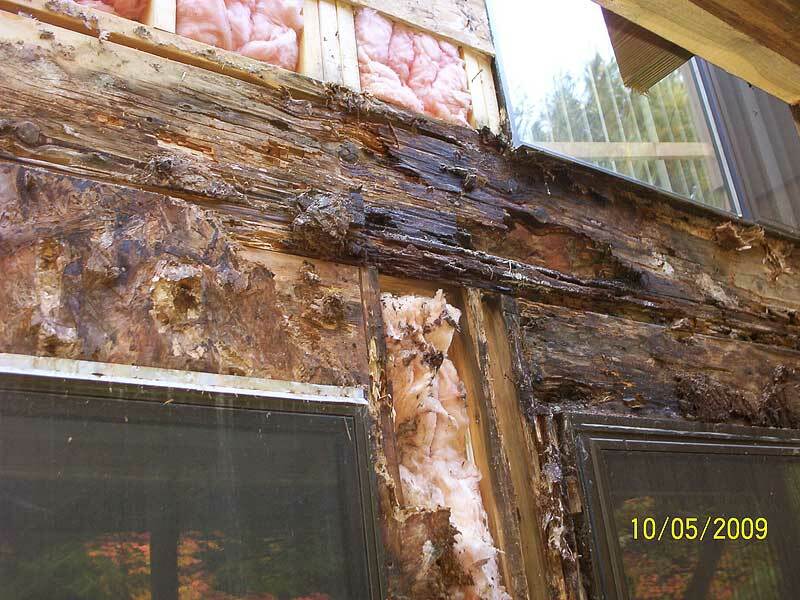 The Lakes and Mountain regions of NH are prone to causing wood rot. Let JPN repair it for you. 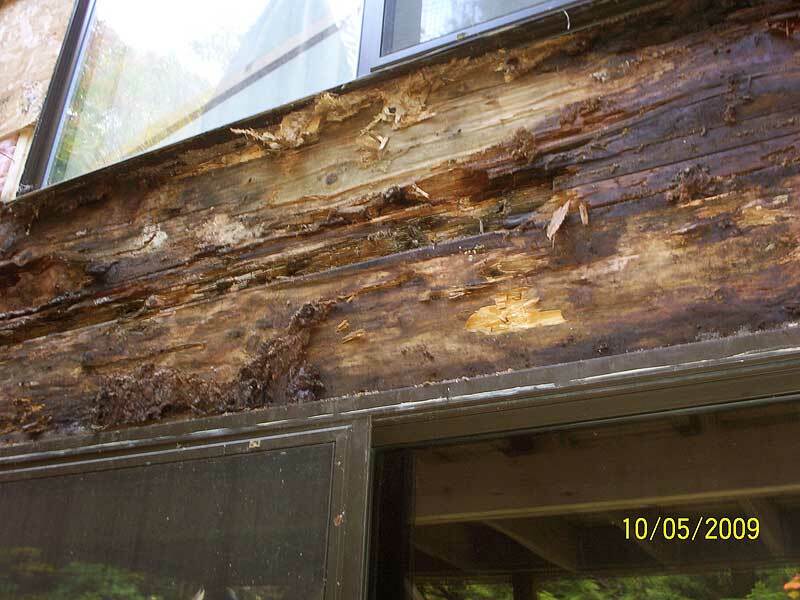 Improperly flashed deck caused this wood rot. 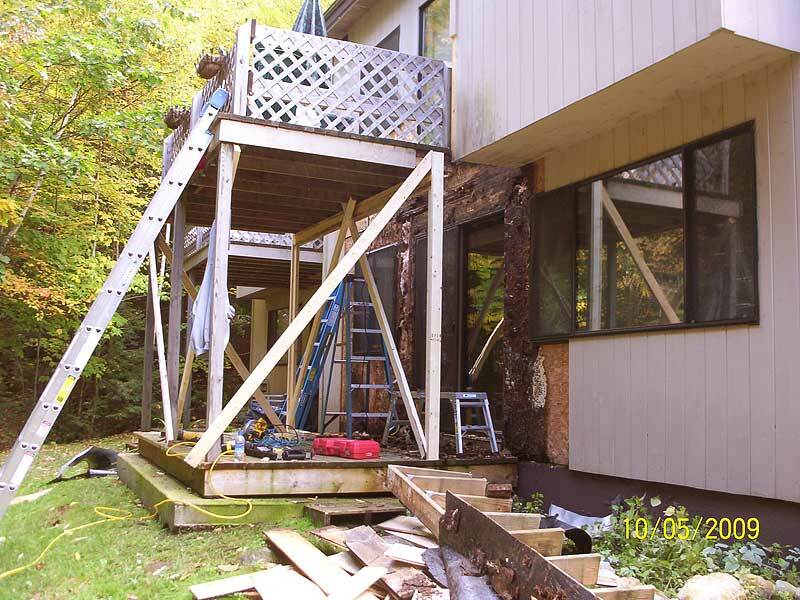 Improper attachment of the deck caused this wood rot problem. 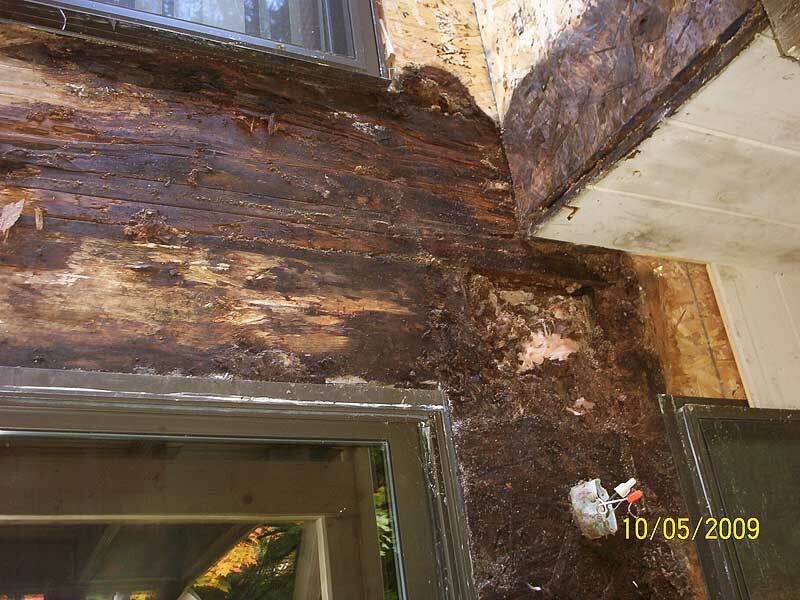 A leaky door and improper installation caused this wood rot problem. 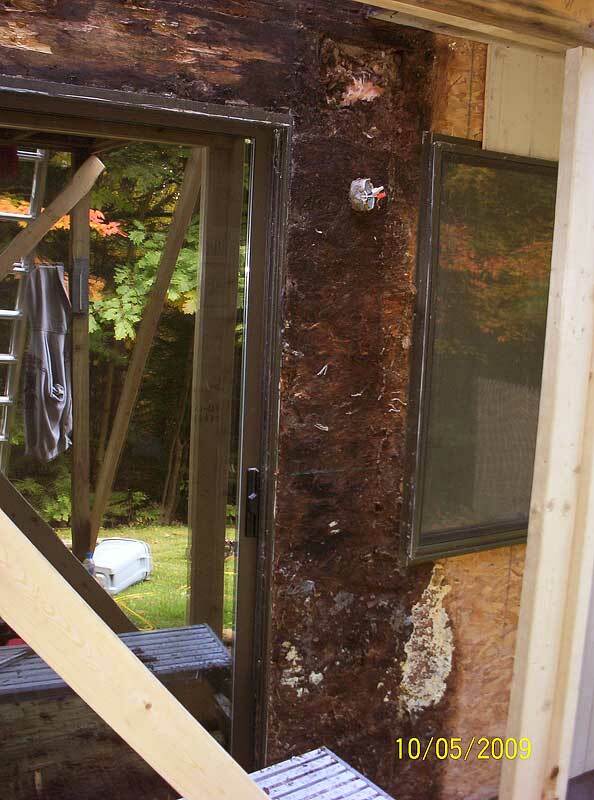 The window leaked and was rotted. 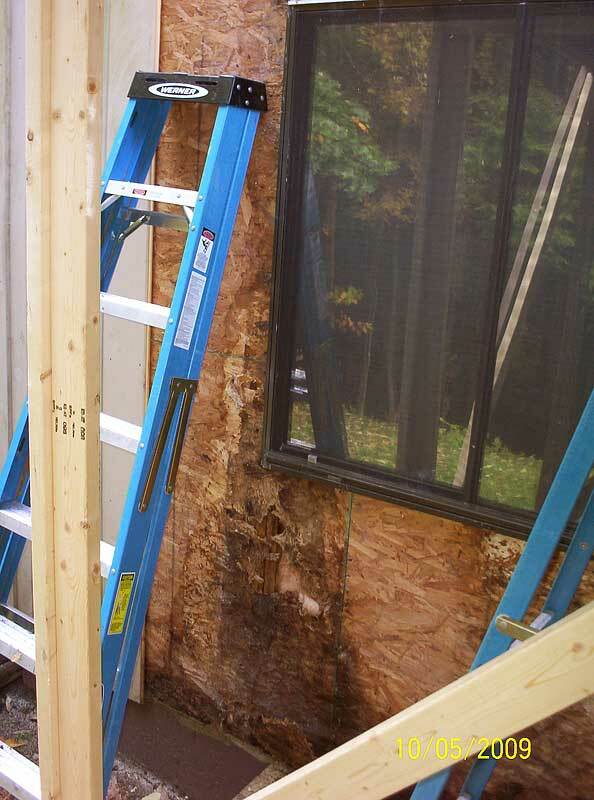 We saved the glass and replaced the frame.